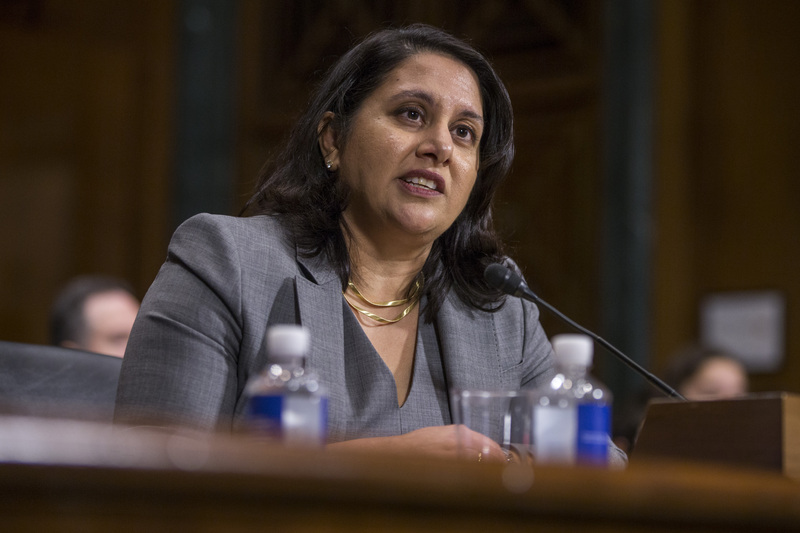 Republican Sen. Josh Hawley of Missouri is expressing concerns over confirming Neomi Rao to the U.S. Court of Appeals for the D.C. Circuit, saying his review of some of her academic writings raise questions about her judicial philosophy. Other conservatives vigorously contest Hawley’s reading of Rao’s work, even threatening retaliation if he undermines her confirmation prospects. Hawley, who sits on the Senate Judiciary Committee, is particularly concerned that Rao’s scholarly writings suggest support for a legal position called substantive due process, which calls on courts to protect rights not named in the Constitution. Conservatives have long opposed the principle. Hawley’s inquiries in Rao’s jurisprudence have rallied some of her conservatives allies to swiftly reiterate their support of her confirmation, including Americans for Prosperity, the Faith and Freedom Coalition and the Judicial Crisis Network (JCN). A JCN strategist said the organization plans to spend at least $500,000 on a TV, radio and digital campaign in Missouri to stress the importance of conservative judicial confirmations. Former Attorney General Edwin Meese, who served under President Ronald Reagan, also endorsed Rao’s confirmation. It’s not clear if other Republican lawmakers share Hawley’s concern about Rao’s legal views. A spokesmen for Republican Utah Sen. Mike Lee, another member of the Senate Judiciary Committee, told The Daily Caller News Foundation that Lee has not seen anything in Rao’s past writings that gives him pause.